It never ceases to amaze me the wonder of plants in all of their many forms and functions. A few night back I caught the end of a special on Nova about the search for the 'First Flower' - which highlighted the story of Archaefructus liaoningensis, the "...ancient plant discovered in the fossil beds of Liaoning Province in northeastern China graced the cover of Science and made headlines worldwide. 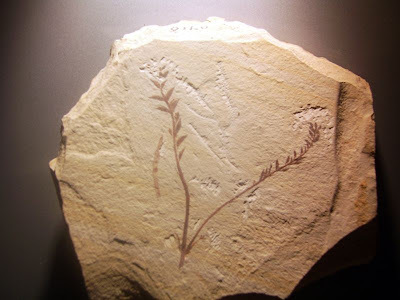 It was heralded as the earliest known angiosperm, or flowering plant, and it is now thought to be roughly 125 million years old." While the aesthetics of plants have evolved (and most definitely our obsession with these plant features) over the past 125 million years has evolved to encompass over 400,000 species of flowering plants. And now that tommorrow we will send and give our mothers a day of joy. Aside from a very happy mother, the more specific healing properties of plants are well-documented, in both restoring the spirit, as well as restoring the earth. A recent NY Times featured the story about a project to use mushrooms to bioremediate a polluted property in Ft. Bragg, California. Residents looking for solutions to the high levels of dioxin in the area, including a former GP mill, where concentrations of dioxins were left from remnant ash-piles. The community brought in Paul E. Stamets, author of “Mycelium Running: How Mushrooms Can Help Save the World.” He is a proponent of all things mushroom, specifically the concept of mycoremediation -- using mushrooms to clean toxic soils. The concept, via Wikipedia, relies on a natural process endemic in mycelia, using: "...the natural microbial community participates with the fungi to break down contaminants, eventually into carbon dioxide and water." The expertise of Mr. Stamets resides regionally from Fungi Perfecti from Olympia, Washington. From the NYT: "At least two dioxin-degrading species of mushroom indigenous to the Northern California coast could work, he said: turkey tail and oyster mushrooms. Turkey tails have ruffled edges and are made into medicinal tea. 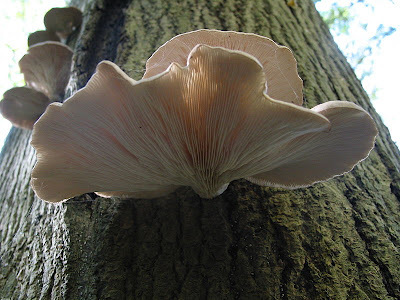 Oyster mushrooms have domed tops and are frequently found in Asian food." 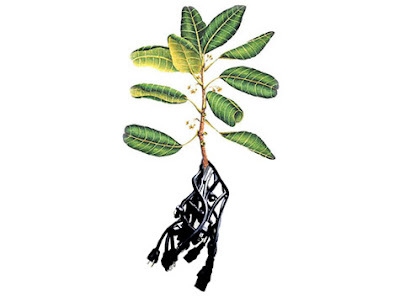 And for the real power of plants, a post from BLDGBLOG featured a New Scientist report that discussed the application of electricity to certain plants to illicit a release of beneficial chemicals in far greater than normal rates. The benefits of this are hazy, but per the New Scientist article, the technology: "...could be adapted, he says, to make an inexpensive and efficient method of producing pharmaceuticals and pesticides." Or, as Manaugh postulates - what future does this lead to for plant manipulation? "So is this the future of gardening? Growing hydroponic plants in an electrically charged, semi-liquid matrix in order to "stimulate" the production of new forms and compounds? You could perhaps plant star anise in vast, swampy test plots surrounded by High Voltage signs, and thus derive new anti-flu drugs from electrically active roots. Or generate new orchids, supersymmetrical and glowing, plugged directly into an electrical earth. The Philadelphia Flower Show will never be the same. 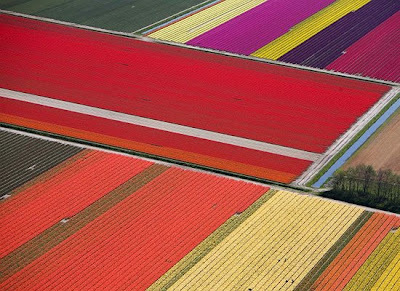 Or plug gardens like this into a solar power plant out in the desert somewhere – and a weird new form of exponential photosynthesis is born." A concept getting a lot of mileage recently is the idea of carbon sequestration related to global warming. A study by The Wilderness Society recently offered some startling data that gives us the scale of positive ecosystem benefits of our public and private forests in the US. And Oregon, one of the more tree'd states - rates high. The study focuses on the "...enormous carbon reserves held by forests in the contiguous states - roughly equivalent to more than 20 years of current United States greenhouse gas emissions from industrial and other sources. 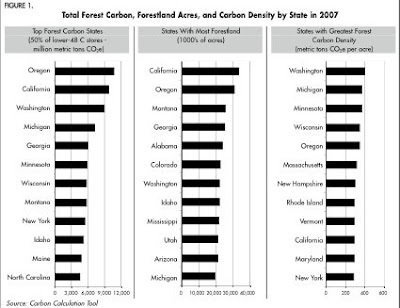 Across the U.S., public and protected forests generally store the most carbon." The variation and adaptations of plants are never-ending... a good small-scale indicator of that are the tres-retro air plants. 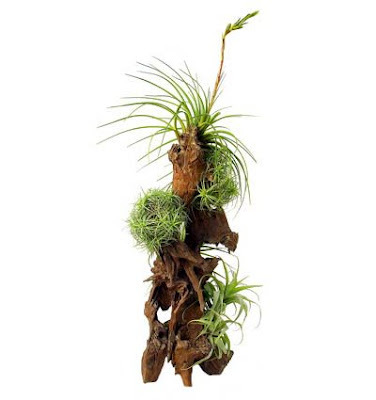 From Dwell: "Airplants (technically, tillandsia) are making a comeback after their 1970s heyday, according to the Los Angeles Times. The plants, which drink moisture from the air, require bright, filtered light, but no soil and minimal watering (wet the leaves and roots thoroughly two times a week). Since they’re dirt-free, they can be tucked into wood or rocks." Can someone say living wall?